Uncle John’s Diner is Herb Hyde’s final offering in a trilogy that has been a lifetime in the making. In his earlier years as an adolescent male, he experienced firsthand the foibles and snares that often befall young men of this age group. Making life even more challenging was the historical era in which it occurred, the 1960s. The events recounted in the book describe a period of Herb’s life which was at times chaotic, socially reckless, and often undisciplined. But the story ends with redemption and finding true love. The book also provides insight into the work lives of people employed at a shirt factory in Cohoes, one of the last vestiges of a textile industry that profoundly shaped the city’s history and at one time employed a large portion of its citizens. There are stories of workplace camaraderie, pranks, conflict, and the struggles of working people striving to make ends meet. – Daniele Cherniak, Editor, Spindle City Historic Society Newsletter. 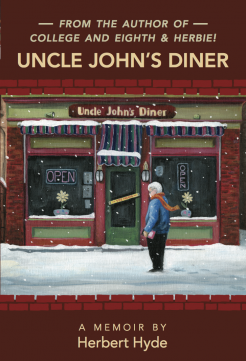 Reading Herb Hyde’s third book “Uncle John’s Diner” is like meeting a friend at the local coffee shop down the street and being immersed in a good story. 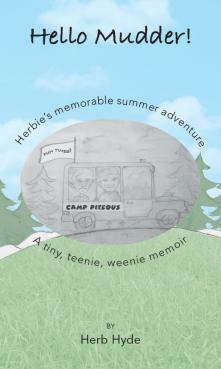 He vividly depicts life from decades ago as we get to know his younger self, Herbie, and his surroundings. 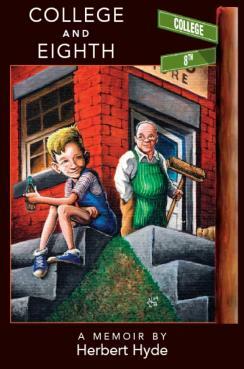 While some people have a hard time remembering what they had for breakfast, Herb paints a picture of first jobs, friendships, family, life and finding love. 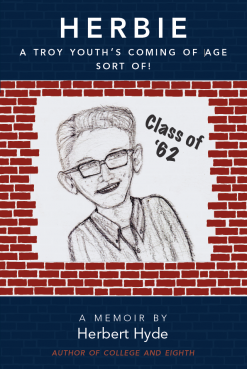 With humorous dialogue and an obvious passion for his hometown area, he brings us on a nostalgic ride through the Capital Region while looking at local and national events. Herb Hyde is a retired former autoworker, union activist, avid college hockey fan and local history buff. He received his Bachelor’s Degree from Regents College, now Excelsior College. A resident of Cohoes, NY, he has served on the board of directors of the Friends of RPI Hockey and the Green Island Federal Credit Union. Additionally, he served as the Chairman of the Cohoes Citizens Party and ran for Mayor of Cohoes in 1983. He currently serves as a member of the Cohoes Historical Architectural Review Board.